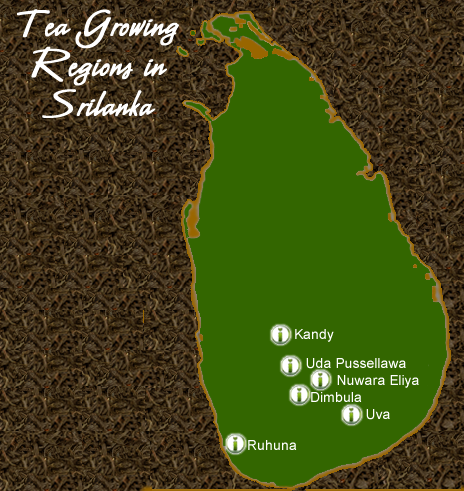 Tea growing areas and different teas produced. 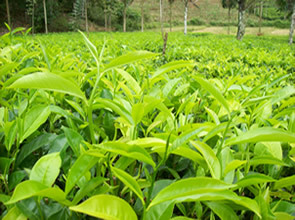 An aromatic tea that grows in the mountains plantations of scenic Kandy. 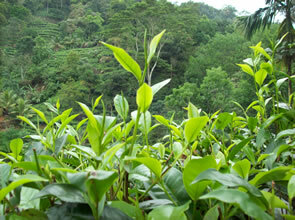 Situated 4000 feet (600 – 1,200 meters) above sea level these teas are full bodied, strong and bursting with flavor. A refreshingly mellow seasonal tea that is grown in the hilly regions of Dimbula, located at 3,500 – 5,500ft above sea level. 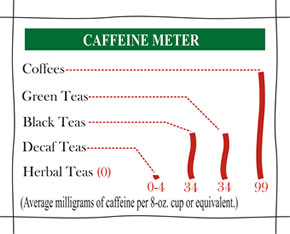 This tea produces a range of teas from full bodied to light and smooth. 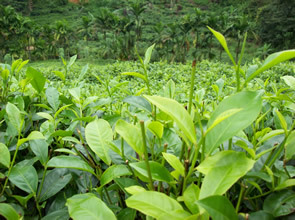 The South West monsoonal rains along with cold dry weather have a significant impact on the quality of Dimbula teas. A low grown tea that’s uniquely different. 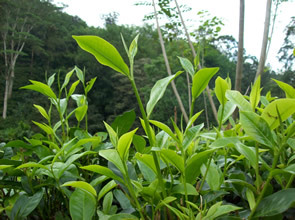 These teas grow at sea level to about 2,000 ft (600 Meters) above sea level. 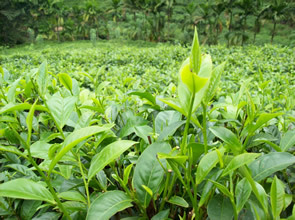 The unique conditions of the soil give the teas its strong blackness and impart a distinct taste.